Born in the U.S. and territories was the largest percentage (59.8%) of the total population in the CNMI in 2017; followed by born in Asian countries (35.5%), while born in other Pacific Islands and in other countries made up only 4.7% of the total population. The percentage born in the CNMI was 56.7% of the total CNMI population while percentage born in the Philippines was 26.1%. The percentage born in the CNMI was higher in Rota (60.7%) than in Saipan (56.6%) and in Tinian (55.1%). Born in the Philippines was higher in Tinian (30.1%) than in Saipan (26.1%) and in Rota (22.7%). The percentage born in the CNMI was highest in District 5 (70.6%) and lowest in District 3 (45.5%). Born in the Philippines percentage was highest in District 3 (34.0%) and lowest in District 5 (15.7%). Born in the Pacific Islands percentage was relatively higher in District 4 (11.5%) and lower in District 5 (2.3%). 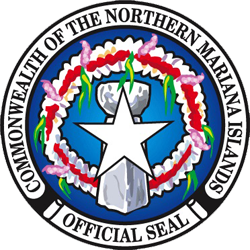 LFS 2017 Table P6.1 Birthpalce by Island and by District: CNMI 2017 Fourth Qtr.